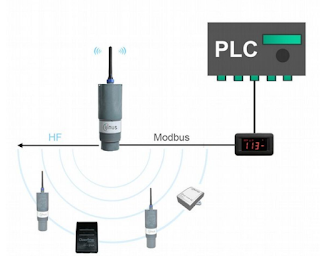 The demand for wireless communication in the field of sensors and measurement devices is forever increasing, with technology development operating nonstop. The problem most consumers currently face however is that products which claim to be wireless, commonly are not truly wireless. Although the systems on the market can provide wireless communications, they are not able to operate without the need for power. The LNU ultrasonic level sensor from Bell Flow Systems tackles this problem with its truly wireless design. The sensor itself contains a Lithium battery supply which means the user can simply install the sensor in their application without the need to connect a power or a communications cable to the device. Configuration of the device is simple, using a wireless dongle called a Wiji the user can connect to their device via a laptop and view live level data, stored level data from the unit’s internal data logger and / or make changes to the sensor configuration. If operating multiple LNU sensors the user can also connect to each device individually from a central location. Data from the LNU can also be collected using a Wiji radio access point. This device will collect information from the LNU on a timed basis and report the information via a RS-485 signal to a PLC or data collection system. Alternatively if the site is remote, data can be collected by the device and transmit via a GSM / GPRS signal to our web based data portal. As well as level, the LNU also features integrated flow rate and volume conversions so that you do not need to carry out secondary calculations to derive these values. 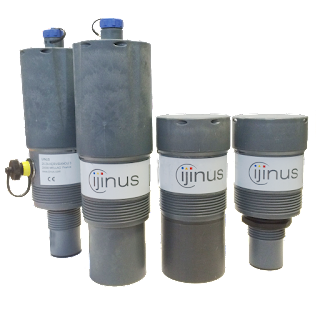 Typical applications for the LNU include water/waste water, CSO monitoring, remote level, flow volume monitoring solutions, flood warning systems and tank level monitoring. Contact Bell Flow Systems for more information on the LNU range 0800 027 7786.